Unless you just want to become a designer, it's not necessary to learn coding or website design to create a nice looking website today. No longer do you have to create your own HTML website from scratch, download/customize templates or learn how to FTP files. There are so many options that involve little or no technical experience nowadays. WordPress is the #1 platform for creating websites today because it's quick, powerful, and quickly becoming the industry standard for building websites. The fastest way to get started with WordPress is to choose a host that has WordPress hosting so you can begin your site immediately. WordPress comes with thousands of template designs to choose from, and what's cool is you can swap out themes pretty easily. 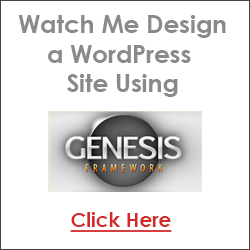 Learn more about creating a WordPress site here. Artisteer is an awesome choice if you're going to create a static website like this one. And if you aren't familiar with the differences between static websites and blogs, read this article. Artisteer can be used for blogs too, but most people use it to design their static websites. 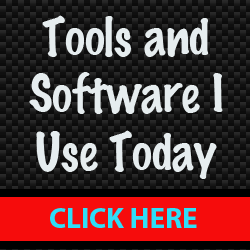 This software is also for static websites and is really best if you want to understand how to code HTML and CSS. Dreamweaver assumes you want to learn the basics for website development and design. If this describes you, this is probably one of the best tools to learn. I use DW for this website and learned a lot from Lynda.com. You can buy Dreamweaver here. In order to publish your website to the Internet with one of the above options, you'll need a domain name and web hosting. So once you decide which method you're going to choose, you can get both of those at my site, WebsitePalace.com. But first, read up on choosing the right domain name for your site. Web design has evolved over the years. Today, design is all about clean layouts, large fonts and minimal graphics. The days of flashing images, busy backgrounds and cluttered columns are gone. If you're going to use WordPress for your website, I would recommend the Genesis themes because they have some of the cleanest, most professional layouts around. I used this theme for my Napturally Curly blog and I really love how fresh and simple the design is. This is the present and future of web design. Need a squeeze/landing page? Here's a tutorial and a free template you can download and customize. Click here to learn more. If you just want to learn the basics of creating basic web pages in HTML, you can actually practice on your computer using a simple text file. Learn how to create a web page here. Curious about costs for creating a website? Click here.